Three Steps to Install ELM327 Bluetooth Scanner on Android Phone/Tablet. Touch Settings » Wireless & Networks » Check the Bluetooth box and go to » Bluetooth Settings. 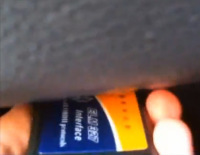 From here — scan for devices and ELM327 Bluetooth scanner will show up as either: ELM, ELM327, CAN, OBD, etc. If “6789” doesn’t work, then try “1234” or “0000“. Launch the OBD app you’ve downloaded from Google Play store — and connect to ELM327. This is usually done in “Settings” within the App. 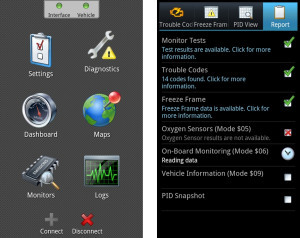 Example of typical Android OBD app.